With Halloween coming up quick, I wanted to find a NON candy treat to give to friends and co-workers. Since I have done candy apple bites in the past, I wanted something new. Something easy, quick and colorful; Halloween colors that is. I GOT IT!! 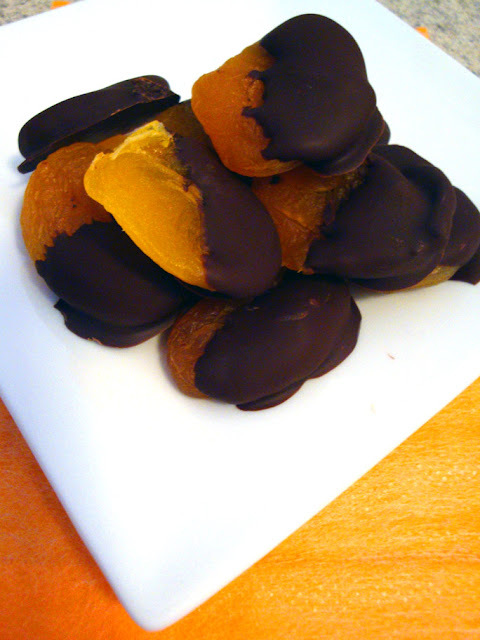 Hand dipped dark chocolate dried apricots, done and done! 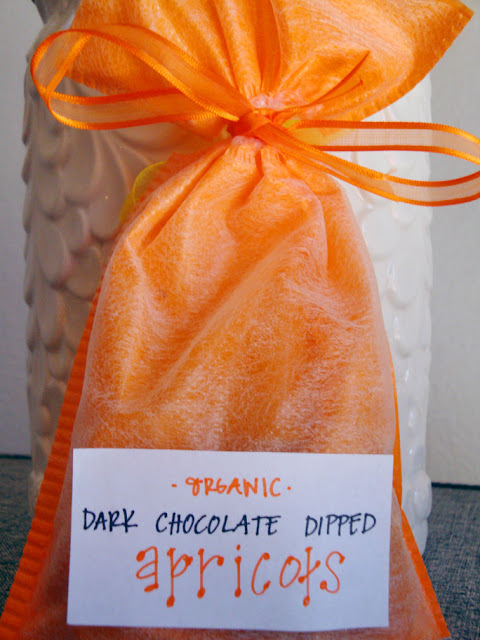 All you need for this easy recipe is organic dried apricots and dark chocolate...easy! You can use a double boiler to melt the chocolate using a small pot and glass bowl (just add an inch or two of water to the pot, place the bowl in the pot and drop the chocolate in the bowl to melt. 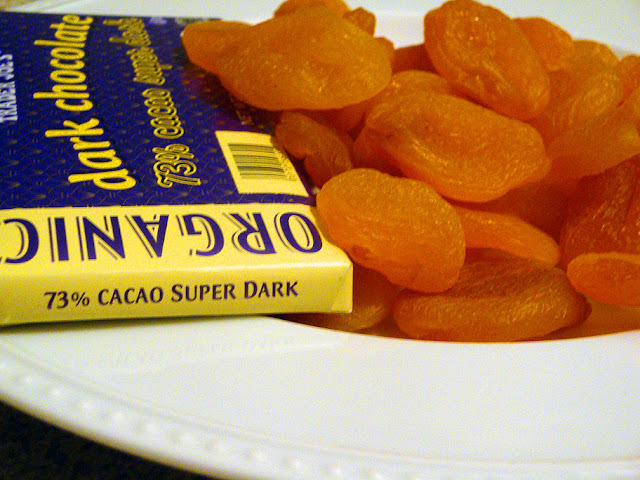 Or, use the microwave in 30 second intervals, stirring after each one to make sure the chocolate doesn't overcook. 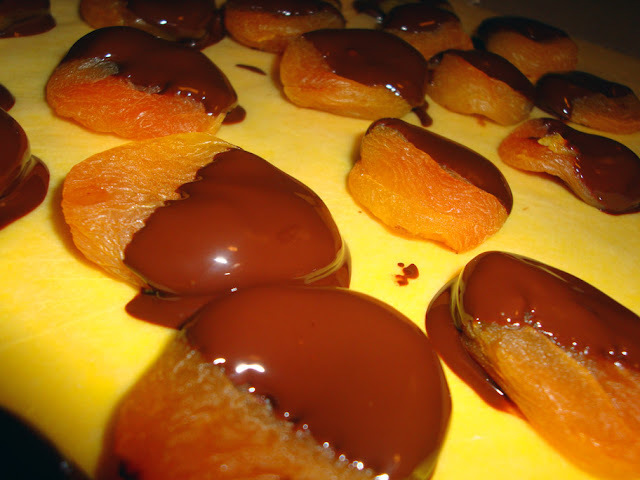 Lay out a sheet of wax paper on a baking sheet (or something flat that will fit in your fridge, a cutting board would work too), dip the apricot halfway into the chocolate and lie out to harden. Pop that thin into the fridge overnight (or for a few hours) and you are done! I had made a healthy(ish), sweet snack in the most perfect of holiday colors! I grabbed some labels, wrapping materials and got packaging. Moments later (and I literally mean moments) I was heading out the door with my treats in hand. 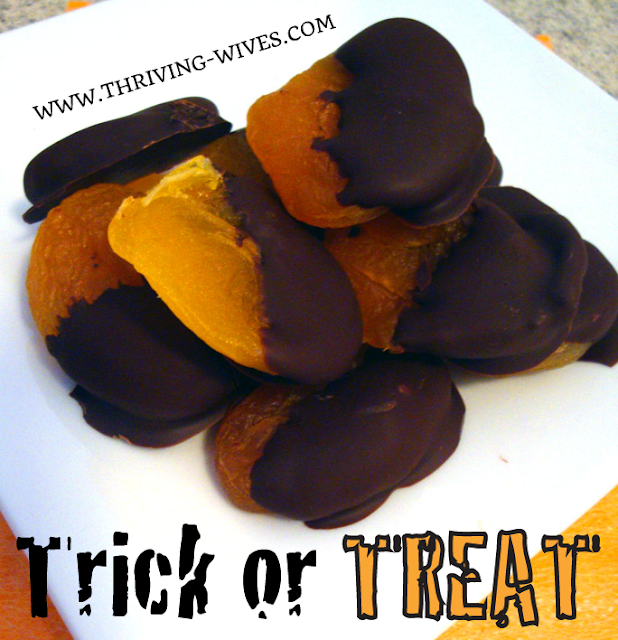 There’ll be no trick from this Thriving Wife this year, only a new yummy treat! !